It is Monthly Challenge time over at Whimsie Doodles and the theme this month is 'Spring in your Step'. 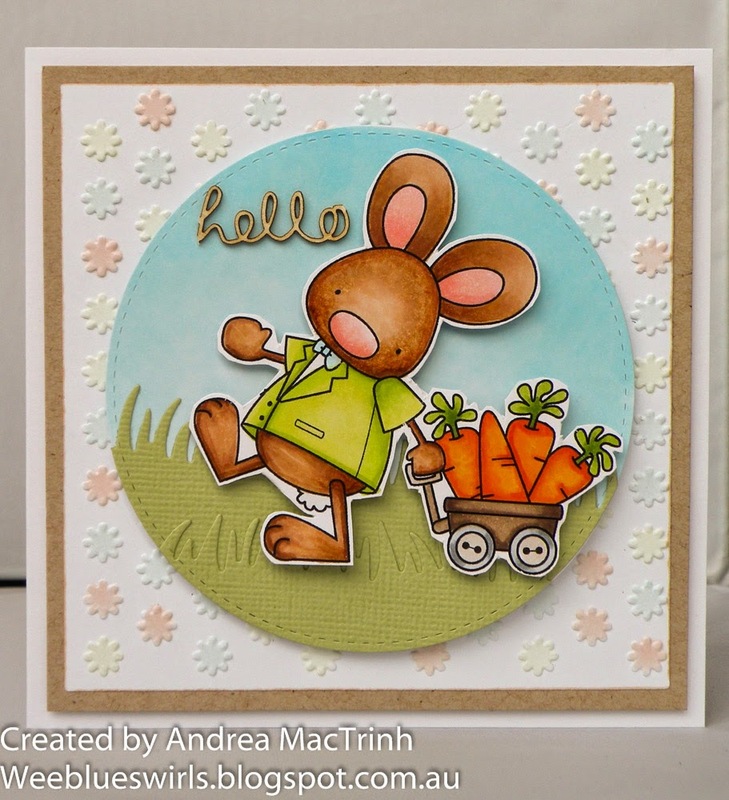 For my DT card I just had to go with one of the many cute bunnies that are available in the shop. This cutie is called Carting Carrots and I coloured him with my copics. The background sky and the light colour on the embossing base were also created with my trusty copics. The fabulous chipboard word is from Create a Smile. It was actually inside a speech bubble but I could not fit it onto my card so I cut the word out. I would like to enter this card into the ABC Challenge - Festive and Crafting by Designs March Anything Goes Challenge. Make sure you pop over to Whimsie Doodles Blog to check out all the other fantastic makes by the DT team. This is a really cutie. Love that image, it's really cheered me up.